Item # 309688 Stash Points: 1,395 (?) This is the number of points you get in The Zumiez Stash for purchasing this item. Stash points are redeemable for exclusive rewards only available to Zumiez Stash members. To redeem your points check out the rewards catalog on thestash.zumiez.com. 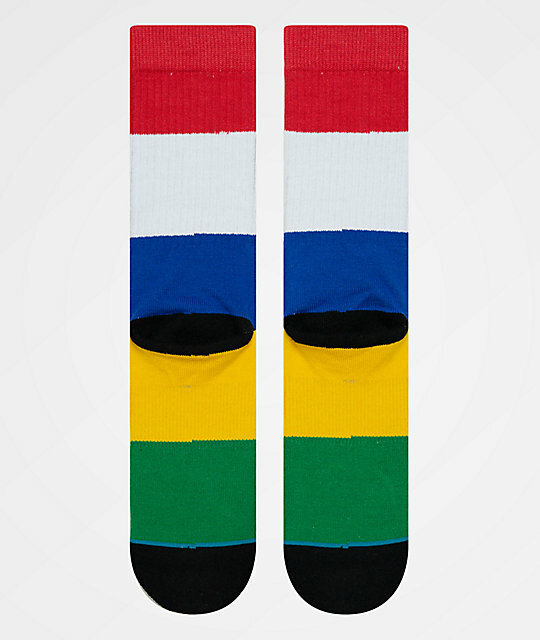 Add a splash of color to your sock drawer with the Stance Facemelt Crew Socks from Stance. 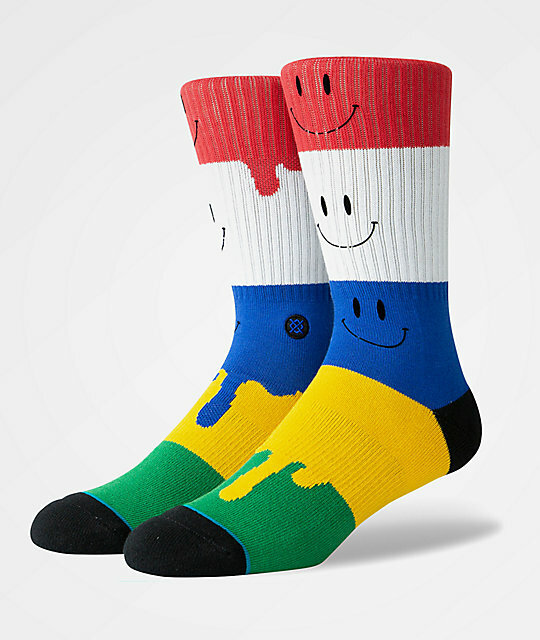 Featuring a bold, drippy, multicolored construction with smile faces throughout, you are sure to crack a smile while wearing these crew socks. With an athletic ribbed knit upper, Stance's signature embroidered logo at the ankle, and quality construciton, the Stance Facemelt Crew Socks are sure to melt your face (in a good way). 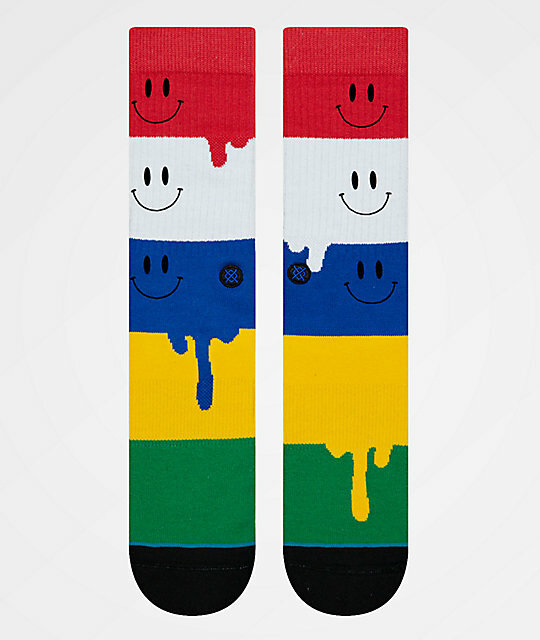 Facemelt Crew Socks from Stance. Multicolored design with jacquard knit smile faces throughout.